What the wobbly bridge reveals is that in a playground, unlike in a factory or workplace, the presence of some types of hazards – sources of harm – is a good thing. To put it another way, some risks have inherent benefits. It was the risk management academic Prof David Ball who showed me the value of thinking about wobbly bridges. When I first met David around 2000, he was carrying out a study into playground accidents [pdf link], funded by the Health and Safety Executive. At the same time, I was trying to tackle the problem of the ramping-up of playground safety, in my role as convener of the Play Safety Forum. 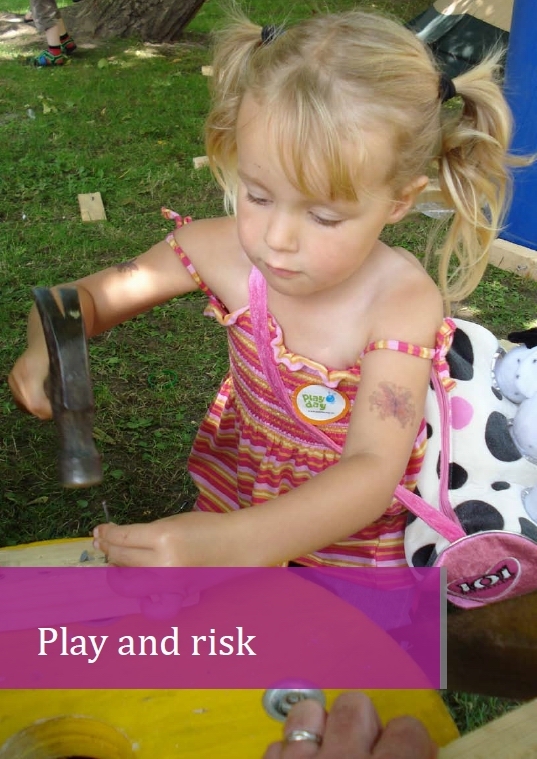 In 2002 the Play Safety Forum took the bold step of making balance – not risk reduction – the heart of good risk management, in its groundbreaking position statement Managing Risk in Play Provision. That it did so was thanks in part to David’s research, which showed that playgrounds had for decades been comparatively safe places for children to play. The move was also, in my view, part of a wider reaction to concerns about the over-protection of children. More recently David, Bernard and I have teamed up with Harry Harbottle, a playground industry insider who has served his time on playground equipment standards committees and is co-author of a handy guide to the European Standard. Our goal is to create more space for professional judgements about what balance means – what it looks like – in different situations and circumstances. For us, this means rethinking the role and use of playground equipment standards. I plan to explore standards in more detail in my next post. For now, I hope I have shown you just why managing risk in play spaces is different to managing risk in factories – and also hope I have persuaded you of some of the insights to be gained from wobbly bridges. I will also be saying more about managing risk in play in my keynote at next month’s Spirit of Adventure Play conference in Cardiff. 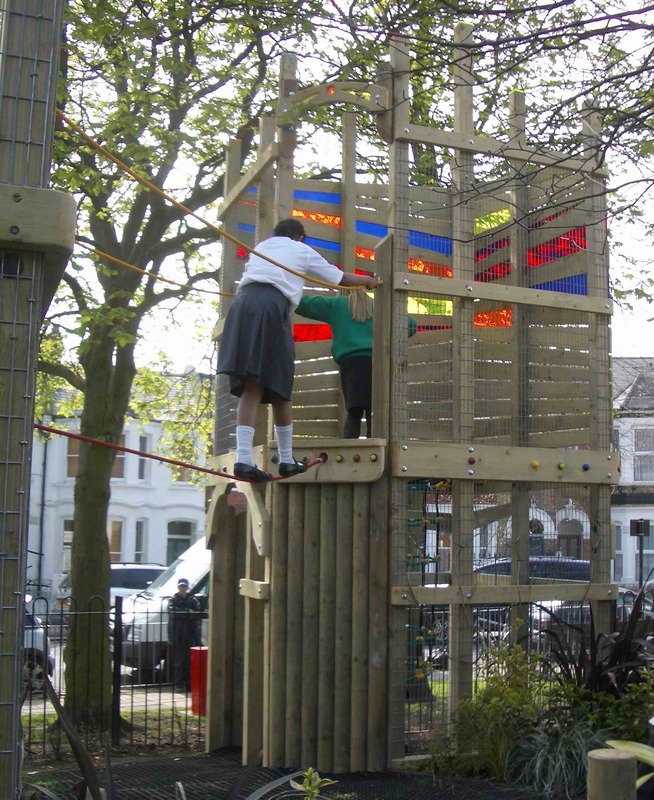 This entry was posted in Outdoor play, Play spaces, playground, Risk and tagged Play Safety Forum, Play Wales, playground safety, Risk, risk assessment, risk benefit assessment. Bookmark the permalink. Really interesting with some great links. May I ‘borrow’ it for my blog? Hi Julia – of course, and glad you found it of interest. I think governments and insurers get a bit hysterical when it comes to risk and children. It is so much easier just to eradicate the most obvious risks rather than take a more measured/wider/longer term approach to it.